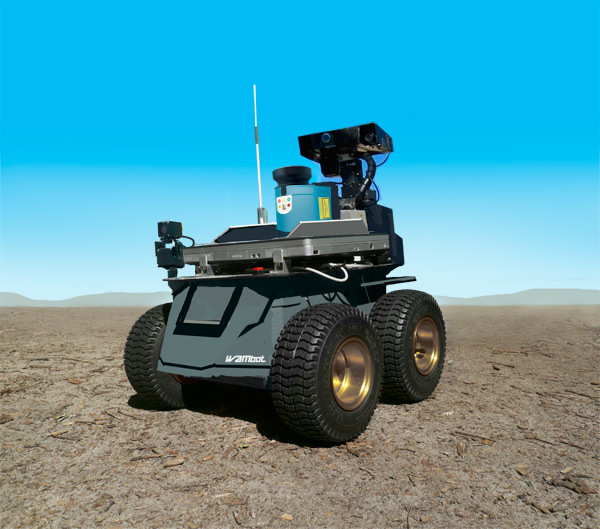 Our robot is based on the Pioneer AT 3 platform, and is equipped with a number of sensors including computer vision cameras, DGPS, SICK laser rangefinders, Xsens inertial measurement units. The robots have powerful mobile dual-core processors and high performance wireless communication devices. Complex algorithms developed by our team and reliable RTI realtime middleware gives our robots the "brains" to complete the challenge.